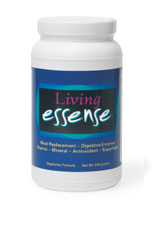 Living Essense is a complete, balanced meal replacement with a full supply of Digestive Enzymes, Vitamins, Minerals, Superfoods and Antioxidants. First, let’s looks at what food is composed of; water, macronutrients and micronutrients. Water is the main substance of most everything followed by the macronutrients protein, carbohydrates and fat. These are the only things that provide the body with ‘real’ energy which is measured in calories. The micronutrients are all of the vitamins, minerals and other trace elements which mostly help us utilize the macronutrients more efficiently. We need all of these three components in order to live a long and healthy life. Now, it’s really just a matter of balancing them. The average person requires about 80 grams of protein and approximately 6 grams of fat per day. Did you know that we do not require any carbohydrate intake on a daily basis? Does this mean that we can get everything we need from eating just protein and fat? Yes, it does. Eskimos eat little to no carbohydrates especially during the long winter months and yet they have been documented to be the healthiest race that has ever lived on this planet. Eskimos have no heart disease, diabetes, obesity, high blood pressure or any other disease commonly associated with our modern, civilized world. What most writers forget to tell people is that they ate almost everything raw. As we discussed earlier, when we eat raw food the enzymes contained in those foods will digest themselves without putting any additional stress on the body. Not that we can or would even recommend that we eat our meat raw today because of the incredible ‘pollution’ of our animals. The point here is that we can survive quite nicely without eating carbohydrates. But do we as a nation practice this? No. Most of us are familiar with insulin which is the main regulator of blood sugars, but beyond that is can be referred to as the master hormone of metabolism. It is involved in the regulation of blood pressure, the storage of fat as well as the production of triglycerides and cholesterol. When insulin levels are to high we experience high blood pressure, elevated cholesterol and triglycerides, diabetes and obesity. How do insulin levels get so high? Most people have inherited a tendency for the insulin sensors on the cells to malfunction with age, illness, stress or by years of eating a high sugar and starch diet. As these sensors become more sluggish, the body becomes more ‘insulin resistant’. Because the cells need sugar, the pancreas will continue to pump out more and more insulin to force the sensors to respond. In the end, the body will become so resistant to insulin that the amount required to clear the sugars from the blood will be more than the pancreas can produce, so that person becomes an adult diabetic. Excessive insulin also causes other damage in the body like; retention of water and salt by the kidneys, thickens the walls of the arteries, stimulates the liver to produce cholesterol and sends a message to the body to store all incoming sugar and fat. Wow, that sounds pretty serious. Is there anything we can do to change this? The good news is that this vicious cycle can be reversed by changing our eating habits through limiting the amount of carbohydrate intake. All of the following ingredients are found in the Living Essense product. Whey Protein concentrate - 7 grams. The most “usable” arrangement of amino acids available. Whey provides the building blocks of glutathione, the body’s most important antioxidant. It will also increase immunity, suppress hunger, encourage fat burning and act as a anti-bacterial and anti-microbial agent. This is a “fast” burning that must be blended with “slower” proteins such as milk. Egg Protein concentrate - 4 grams. A complete protein that contains the eight essential amino acids as well as 13 vitamins and minerals. Rice Protein concentrate - 2.5 grams. An excellent source of vegan, hypo-allergenic protein and is also contains the eight essential amino acids. Milk Protein concentrate - 2 grams. A complete protein that slows the release of amino acids into the bloodstream and also prevents a large percentage of the whey protein from going to waste. Acid Stable Protease - (Aspergillus niger) 33 ASPU units. It breaks down proteins in a pH range of 1-5. This means that it is active in the lower portion of the stomach when pepsin is also active. Peptidase - (Aspergillus oryzae) 33 U units. It breaks down proteins in a pH range of 5-9. Protease - (Aspergillus oryzae) 3,666 HUT units. This enzyme breaks down proteins into amino acids in a pH range of 4-10. This means that it’s active in the “predigestion” stage, inactivates in the lower stomach and reactivates in the small intestine. Alpha Galactosidase - (Aspergillus niger) 12.5 GALU units. It breaks down the sugars found in beans and legumes in a pH range of 4-5. Amylase - (Aspergillus oryzae) 1,000 SKB units. It breaks down carbohydrates (polysaccharides) into disaccharides (two sugars) in a pH of 4-10. Glucoamylase - (Aspergillus niger) 1.5 AG units. It breaks down starch or complex carbohydrates into dextrose (simple sugar) in a pH range of 3-6. Invertase - (Saccharomyces) 25 SU units. It breaks down sucrose (two sugars) into fructose (single sugar) and glucose (single sugar) in a pH range of 2-6. Malt Diastase - (Barley malt) 12.5 DP units. It breaks down maltose (two sugars) into two single sugars of glucose in a pH range of 4-9. Pectinase/Phytase - (Aspergillus niger) 1.5 endo-PG units. Cellulase - (Trichoderma longibrachiatum) 41.5 CU units. It breaks down cellulose (fiber considered a carbohydrate) into glucose (single sugar) in a pH range of 3-7. Hemicellulase - (Aspergillus niger) 41.5 HCU units. It breaks down complex sugars into simple sugars found in seeds and beans in a pH range of 2-6. Xylanase - (Aspergillus niger) 41.5 XU units. It breaks down fiber found primarily in grains in a pH of 3-7. Lactase - (Aspergillus oryzae) 41.5 LACU units. It breaks down lactose (two sugars) into galactose (single sugar) and glucose (single sugar) in a pH range of 4-8. Lipase - (Aspergillus niger) 50 FIP units per capsule. It breaks down fat molecules or tryglycerides into three simple fatty acids in a pH range of 3-10. Vitamin A - (palmitate/beta carotene) 5,000 IU. Used for eye disorders, age spots, respiratory infections, acne and skin problems. Also used to lower cholesterol levels, boost the immune system, prevent types of cancer and heart disease. Water soluble. Vitamin B1 - (thiamine) 12mg. Promote growth, aid digestion, keeps the nervous system, muscles and heart functioning normally. Water soluble. Vitamin B2 - (riboflavin) 12mg. Promote healthy skin, hair, nails. Benefits vision, aid in growth and reproduction. Water soluble. Vitamin B3 - (niacinamide) 12mg. Reduces tryglycerides and cholesterol, metabolizes fat, healthier skin, increases circulation, reduces migraine headaches. Water soluble. Vitamin B6 - (pyridoxine HCL) 15mg. Strengthen the immune system, helps prevent kidney stones, alleviates nausea, reduces muscle spasms. Water soluble. Vitamin B12 - (cyanocobalamin) 75mcg. Prevents anemia, lowers heart disease, increases energy, maintains nervous system, improves memory. Water soluble. Vitamin C - (calcium ascorbate) 167mg. Protects against many forms of cancer, accelerates healing, prevents scurvy, lowers blood pressure and blood clots, activates the immune system and potent antioxidant. Water soluble. Vitamin D - (cholecalciferol) 133IU. Works with minerals to create strong bones and teeth, prevents colds used along with vitamins A and C, aids in absorption of vitamin A. Fat soluble. Vitamin E - (d-alpha tocopherol) 133IU. Alleviates fatigue and leg cramps, keeps you looking younger by retarding oxidation, supplies oxygen, prevents various forms of cancer, accelerates healing process, lower blood pressure. Fat soluble. Vitamin K - (phytodione) 150mcg. Promotes blood clotting, reduces excessive menstrual flows and prevents internal bleeding and hemorrhages. Fat soluble. Biotin - 100mcg. Keeps hair from turning gray and falling out, alleviates eczema and dermatitis, eases muscle pains. Water soluble. Choline - (bitartrate) 50mg. Helps control cholesterol, aids the liver in eliminating toxins, increases memory, used in treatment of Alzheimer’s disease. Water soluble. Folic Acid - 200mcg. Helps microcytic anemia, protects against birth defects, promotes healthier skin, protects against parasites and food poisoning. Water soluble. Inositol - 30mg. Produces a calming effect, lower cholesterol levels, promotes healthier hair, prevents eczema. Water soluble. PABA - (para-aminobenzoic acid) 7mg. Keeps skin smooth and healthy, delays wrinkles, reduces the pain of burns, restores natural hair color. Water soluble. Boron - (amino acid chelate- AAC) 1mg. Helps prevent osteoporosis and brain function. Calcium - (citrate/ascorbate) 50mg. Maintain strong bones and teeth, lower risk of colon cancer, alleviate insomnia, aid your nervous system, keep heart beating regularly. Chromium - (AAC) 60mcg. Lowers blood pressure, prevents sugar cravings and sudden drops in energy as well as chances of diabetes. Copper - (AAC) 500mcg. Required to convert iron into hemoglobin, increase energy. Iodine - (kelp) 30mcg. More energy, promote healthy hair, nails, skin and teeth, burn excess fat, insures proper growth. Magnesium - (citrate) 51mg. Help burn fat and produce energy, promotes a healthy cardiovascular system and prevents heart attacks, relieves indigestion, healthier teeth, helps prevent calcium deposits, kidney and gallstones. Manganese - (AAC) 3mg. Helps eliminate fatigue and osteoporosis, improves memory, reduces nervous irritability. Molybdenum - (AAC) 15mcg. Helps prevent anemia, aids in fat/sugar metabolism. Potassium - (citrate) 10mg. Reduces blood pressure, used in allergy treatments, sends oxygen to the brain and improves thinking, helps dispose of body wastes. Selenium - (AAC) 15mcg. Helps protect against cancer, heart disease and stroke, raises sperm counts in men, keeps dandruff in control. Silica - (horsetail grass) 2mg. Speeds the repair of damaged connective tissue, improving its strength and elasticity. Vanadium - (citrate) 30mcg. Prevents heart attacks, helps control insulin-resistant and Type II diabetes, improves nutrient transport and increases energy. Zinc - (citrate) 6mg. Helps in the formation of insulin and the decrease in cholesterol deposits, accelerates healing times, helps prostrate problems and mental disorders. Grape Seed Extract 95% OPC - 10mg. This extract has the highest potency levels and because it’s standardized the quality is guaranteed. Refer to Antioxidant Overview for specific benefits. Pine Bark Extract 90% OPC - 10mg. This extract also has the highest potency levels and because it’s standardized the quality is guaranteed. Refer to Antioxidant Overview for specific benefits. Alpha Lipoic Acid - 33mg. Moderates blood sugar levels, may be effective in treating Parkinson’s, generating energy, protects the liver from alcohol damage as well as the lungs from smoke damage. Catalase - (Aspergillus niger) 66 U units. One of the most potent antioxidant enzymes active in a pH range of 4-9. Citrus Bioflavanoids - 11mg. Strengthens the capillary walls, builds resistance to infection, another source of Vitamin C, heals bleeding gums. Blue Green Algae - 25mg. A fresh water algae that is rich in minerals, vitamins, amino acids and enzymes that are readily absorbed by the body. Also very high in chlorophyll, a blood detoxifier and antiseptic. It contains over 60% plant protein. Spirulina - 12.5 mg. Another nutrient-dense algae that is rich in chelated minerals, Chlorophyll, vitamins and minerals. It contains over 65% plant protein. Chlorella - 8.4mg. A rich source of vegetable protein and essential vitamins and minerals. Inulin - 3 grams. A great source of fiber, helps to maintain bowel regularity, lowers cholesterol levels, a food source for the beneficial bacteria found in the intestines. Fructose - 6 grams. A simple, fruit sugar used as a sweetner. Guar Gum - 1 gram. A good source of fiber, lowers cholesterol levels, known to slow glucose absorption. Natural French vanilla flavor - 200mg. Also a pure and natural flavor. Sodium chloride - 400mg. Used to adjust the taste. Stevia - 60mg. Regulates blood sugar levels and also known for its anti-bacterial properties.